Where do you tune for “noteworthy information”? The mantra of media maven Catherine Liggins Hughes is “Knowledge is power. Information is liberating and that education is the premise of progress.” Hughes would say that it’s important for the survival of our race and culture survival that blacks be in control our own narrative. Cathy Hughes is at the highest level of “telling it your way, before some else gets to tell it – and possibly telling it better – their way.” In broadcasting, film and publishing the Hughes family is compiling an enviable record of providing blacks accurate and uplifting reporting. More blacks should start relating to Hughes’ brand of programming to blacks, because of what she does to enhance our self-image. For over 35 years Hughes has been the leading voice speaking to and about Black America. Ms. Hughes business and personal challenge is to connect and communicate with black people. The epitome of a black media enthusiast, Hughes is taking advantage of new video techniques and economics as she and son gobble up the whole distribution framework. While blacks retract at the word “urban” but “urban content” actually images positive black. In 1949, station WDIA in Memphis, Tennessee, became first to employ an all-Black on-air announcing staff. Later that year Atlanta’s WERD began broadcasting as the first Black-owned radio station. But, Institutional racism and a shortage of capital still stymies blacks’ investments. Today, radio is the leading platform that reaches blacks: 93 percent of us utilize the AM/FM airwaves, higher than TV viewership (89 percent). A Republican-oriented entrepreneur, Hughes’ businesses are everywhere you look. Radio One owns 70 radio stations in major markets. She started the TV One network in 2004. Now, TV One reaches 58 million homes as the “lifestyle and entertainment network for African-American adults. Some of us are mesmerized to be in “the mainstream”; among whites and their culture. Blacks who most times tune to mainstream media for news about themselves are just “plain ignant.” Race-conscious blacks that identify with their own kind, kin and issues can have information and incentives that propel them forward by tuning News One in the mornings. To tap into continued awareness and to further conversations about race and inequities, turn to Urban One’s NewsOne. Starting Monday, September 11th, NewsOne brings “Our news, our way.” NewsOne’s daily African American morning news show expands to two hours. A news and lifestyle show covering issues that matter to African Americans will be hosted by Managing Editor Roland S. Martin. The Martin-hosted morning news show airs weekdays from 7-9 a.m. ET. Each morning, Martin, guest panelists and contributors cover breaking news, current affairs and entertainment, business and newsmaker profiles. Progressive blacks are leaving “Today” and “GMA” for NewsOne, the pre-eminent destination for the pulse of Black America, and its host Roland Martin. Under a unique format, Martin is leading a relevant conversation based around race and its differences. Martin was a contributor to BET’s Lead Story. 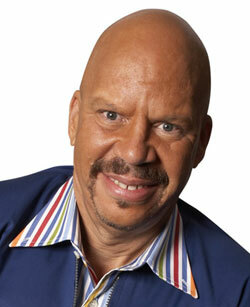 He’s former executive editor of the Chicago Defender newspaper and host of WVON a morning radio talk show. Born in Houston, Martin’s maternal great grandparents had migrated from Haiti to Louisiana. Isn’t it time blacks tune to mediums helping our image and turn away from those that disparages us? Urban One, Inc. (urban1.com), formerly known as Radio One, Inc., together with its subsidiaries, is the largest diversified media company that primarily targets Black Americans and urban consumers in the United States. The Company owns TV One, LLC (tvone.tv), a television network serving more than 59 million households, offering a broad range of original programming, classic series and movies designed to entertain, inform and inspire a diverse audience of adult Black viewers. As one of the nation’s largest radio broadcasting companies, Urban One currently owns and/or operates 57 broadcast stations in 15 urban markets in the United States. Through its controlling interest in Reach Media, Inc. (blackamericaweb.com), the Company also operates syndicated programming including the Tom Joyner Morning Show, Russ Parr Morning Show, Rickey Smiley Morning Show, Get up Morning! with Erica Campbell, DL Hughley Show, Ed Lover Show, Willie Moore Jr Show, Nightly Spirit with Darlene McCoy Reverend Al Sharpton Show. In addition to its radio and television broadcast assets, Urban One owns iOne Digital (ionedigital.com), the largest digital resource for urban enthusiasts and Blacks, reaching millions each month through its Cassius and BHM Digital platforms. Additionally, One Solution, the Company’s branded content agency and studio combines the dynamics of the Urban One’s holdings to provide brands with an integrated and effectively engaging marketing approach that reaches 82% of Black Americans throughout the country. Hey Buddy!, I found this information for you: "Business Exchange: Information Is Power by William Reed". Here is the website link: https://blackmeninamerica.com/business-exchange-information-is-power-by-william-reed/. Thank you.